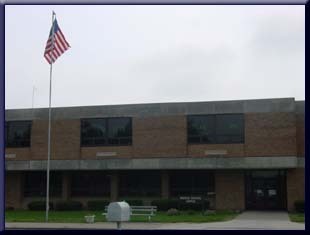 Anthony Wayne High School. Home of the Generals! At Anthony Wayne High school, we invite you to be part of a unique educational experience that will expose you to 21st century skills and prepare you for life after high school. Here, at Anthony Wayne, we offer a diversified educational experience that includes choices of AP core classes, classes in the area of arts (visual, vocal, and instructional), as well as excellent technology, foreign language and business classes. All of our instructors are HQT certified and focus on the unique needs and interests of all of our students. We provide a full continuum of services for students that may have special needs. Our intervention instructors are excellent communicators and collaborators. Also, the instructors at Anthony Wayne High School are extremely proud of the variety of clubs and teams that you will have an opportunity to experience. Through these experiences we believe that students are provided the opportunity to collaborate, problem-solve, and experience a sense of community. These projects do not only happen within the school walls or property boundaries, but many of our teams and clubs participate in community service projects throughout our community at large. Advisors, coaches, and students believe that they have a responsibility to give back to their community and choose to do it through a variety of community service projects. Anyone who walks through our high school doors or sets foot on our campus can observe our students' and staff's pride in the condition of our buildings and grounds. All that walk these halls take responsibility for keeping our buildings and grounds clean. We have a dedicated maintenance staff that prides themselves in maintaining a clean, safe, and secure education environment. We believe that this type of setting helps set the tone for a superior educational experience for all students. Many that have walked our halls also walk the campuses of Big Ten schools, Ivy League schools, and other prestigious university and military settings. This past year our students were offered 8 million dollars in educational scholarships. Over 70% of last year's graduating class chose to continue their educational career at a 4-year college or university campus. If you are a student who likes the opportunity to participate in numerous academic, athletic, musical, and artistic activities then Anthony Wayne Junior High is the school for you. Our seventh and eighth grade students are challenged in core and elective courses by a staff that is dedicated to your academic, social and emotional well-being and growth. In addition, students are given the independence to select many of their own elective courses ranging from Multimedia and Technology, Healthy Foods, Choir, Art, Foreign Languages, and Industrial Technology. to name a few. Students are challenged in an academic-rich environment but are also encouraged to get involved in the school's many extra-curricular and community engagement activities. Anthony Wayne Junior High has something to offer all students with a myriad of interests. Students with musical talents are encouraged to participate in Band and/or Choir in which students showcase their abilities at evening concerts and musicals. Students who have a knack for creativity and an eye for the Arts have opportunities to connect and communicate with students in Africa in an after-school, cross-continental art project. For those students looking to make a difference in their school and community, run for Student Council or join FCCLA to run service related projects that meet the needs of their community and classmates. Finally, at Anthony Wayne Junior High students are introduced to school-sponsored sporting activities that support a strong athletic tradition at Anthony Wayne. Students can participate on a range of athletic teams including cross-country, volleyball, football, cheerleading, wrestling, basketball, track, and scholastic quiz bowl. There is clearly something for everyone at Anthony Wayne Junior High, and with our dedicated, highly qualified staff committed to your excellence, why shouldn't you be the next Anthony Wayne General? Our slogan at Fallen Timbers Middle School is "Your Place To Shine." We truly believe that everyone can shine at Fallen Timbers. We have a unique 5th and 6th grade setting in which we can offer unparalleled educational opportunities. Fallen Timbers is a school that provides a challenging, engaging, safe, nurturing, rewarding, and fun educational experience. Students come to school excited and ready to learn. 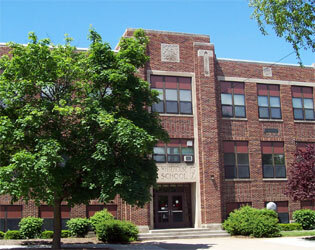 Students are taught by a professional staff that has a blend of top-notch veterans and innovative young staff members. Teachers successfully reach students' hearts and minds. We are focused on meeting all academic, social, and emotional needs as we strive to teach the "whole child." We also have active and supportive parents who work collaboratively with our school staff. In a culture of hard work, enthusiasm, and love of learning, students, staff, and parents have great pride in everything we do at Fallen Timbers. We warmly welcome all students and parents to an inspiring and positive educational experience within a family atmosphere. At Monclova Primary School, first and foremost, we strive to create a safe, friendly, environment with experiences that will serve students well throughout their education and into the future. With a staff the size of Monclova's there are many different areas of expertise and the common denominator is that all staff members care deeply about their students. From the time students get off the bus they are greeted with warm smiles. In order to make learning enjoyable, teachers plan child-centered lessons with hand-on activities, exciting discoveries, and the opportunity to incorporate technology as students master the content standards. We offer age-appropriate instruction, research-based intervention, and we strive to keep our highest achieving students appropriately challenged. There is also a full-time nurse and counselor available to assist parents and students. Not only does Monclova have a well-educated staff knowledgeable in content and child development, we offer more. For example, we have fun-filled art classes that go beyond paper and pencil, including ceramics and glass. There is a musical performance for students at every grade level and our Field Day in the Spring is a favorite among students. Lastly, a successful character program led by the school's counselor is a part of the educational experience for all students. All in all, the success can be seen on the faces of the students, in the compliments received from parents, and the state consistently recognizes Monclova Primary as Excellent. By design, the Monclova Primary building also has its appeal. All classrooms have features such as interactive whiteboards, sinks, and drinking fountains. The kindergarten, first, and second grade classrooms even have restrooms within so the youngest students do not need to leave their classrooms for breaks. In addition, the building has computer labs and mobile computer labs containing laptop computers that can be used in any classroom. Use of computers begins in kindergarten. The district's commitment to embracing technology and the 21st century skills associated is evident throughout the building. The building also has a nice playground that has been expanded and updated overtime. Finally, Monclova also boasts a Community Room used for lunches, musical performances, assemblies, etc. Its a nice building and very conducive to learning. The families in the Monclova area so supportive and generous! The parent organization, M.A.P.S., plans and funds many extras that enhance the educational experience for Monclova students. From providing field trips and assemblies, to volunteering to read with students, parents make a difference for students on a daily basis. Communication with home is also very important. The building issues The Minuteman Newsletter bi-weekly, teachers issue newsletters, and we communicate electronically as well. 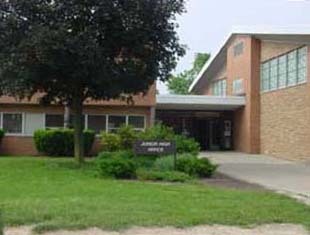 Moreover, Anthony Wayne Local Schools utilizes Facebook and Twitter to communicate with parents and our community members. Monclova parents are an invaluable resource to the school and are respected as such. We work together to help ensure success for every student. At Waterville Primary School the caring, dedicated, and friendly staff creates and nurtures a warm and welcoming learning environment. Within this safe learning environment, staff members utilize high expectations to help students grow academically, socially, and behaviorally. Furthermore, the staff is committed to providing differentiated instruction to meet the needs of all students. Technology, including SMART boards, computer lab, and laptop carts, are available and used consistently to engage students in worthwhile learning endeavors. Furthermore, our therapy dog, Sara, is extremely visible throughout the school to interact with the students in a fun and relaxing manner. Waterville Primary School has outstanding parent involvement and support, which enhances the learning opportunities. Throughout the year, parents are actively involved in various activities such as Movie Nights, Book Fair, Walk-A-Thon, etc., just to name a few. Students also learn important life concepts outside the classroom as they participate in service learning activities that promote understanding and compassion for others. Parents are often seen throughout the building volunteering to assist with small group tutoring or providing assistance to the classroom teacher. The Waterville building is spacious, beautiful, and very bright because of all of the windows. Furthermore, the school is tremendously clean and well maintained. The playground, soccer fields, and the land lab are also utilized daily to enrich the educational experience for Waterville students. Lastly, the academic resources, including technology, allow students to learn problem-solving skills that will be used during the academic years. ​At Whitehouse Primary School, first and foremost, we try very hard to make all our families and students feel welcomed, safe and valued. We have focused a great deal of the past several years on communicating positively, effectively, and proactively with our families in a variety of ways to meet the individual needs of our students. The teachers, secretaries, counselor, nurse and all other staff are very good about being patient, responsive, and to listening to the needs of our parents and students. We have also worked very hard to create a safe environment for all who come to our building. We have consistently stressed and enforced a high expectation of safety and order in the building. Whitehouse Primary Schools have many outstanding academic opportunities to offer our students. We have a highly skilled teaching staff that does a first-rate job teaching state standards in an effective way. We have a comprehensive RtI program to identify at-risk learners and provide them the targeted support they need. We have a large highly trained intervention staff to assist students who are struggling to reach grade level expectations. We have a gifted program to meet the needs of our top students and we have teachers who are willing to differentiate to meet the needs of every student in every room. We have special area teachers that engage students and do a great job providing students a well-rounded education that includes the arts. We have a high-level of technology in our building with SMART boards in almost every room and we allow our students to experience and work with technology on a regular basis. This allows our students to better access valuable 21st century skills. Proof that we are doing an excellent job meeting student academic needs lies in our building State Performance Index scores that have been over 107.0 each of the past 4 years. We go the extra mile at Whitehouse Primary School to provide a wide-variety of extra opportunities for our students to enhance their school experience. Our Whitehouse Parent Club raised and spends well over $20,000.00 over year on our students and staff. Our WPC provides movie nights, book fairs, a carnival, a 5K event, assemblies, and family events, for our Whitehouse Learning Community. Our staff also offers additional opportunities for our students including ensemble, our WHBC news crew, and student council. This year we have also initiated a peer mediation program to attempt to better address student conflicts that arise in the building. We also have a comprehensive building social/emotional education program. We call ourselves the Powerhouse at Whitehouse Primary, because every student, parent and staff member has the power to have a great experience in our school. Our building powerhouse theme focuses on a different area each month based upon the needs of the building. This year our theme will focus on topics to help students have healthy minds, bodies and hearts.